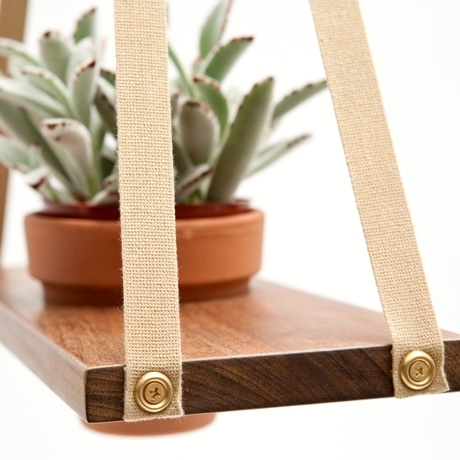 New ways to display planting in and out of your home is hard to find so we are loving the new A-Frame Plant Hangers from Poketo. Deadstock military strapping holds the wood plank fit with a hole ready to receive a standard collard plant pot. Perfect for a porch or exposed beam, this design is suited nicely for the modernist with a green thumb.